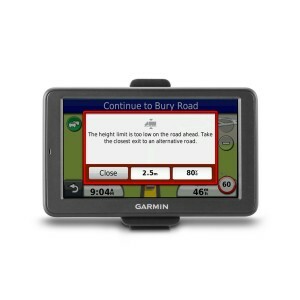 Trucking satellite navigation has been taken to a whole new level with the Garmin Dezi 560LMT. 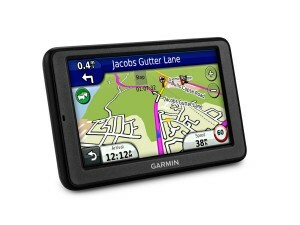 This sat nav is specially designed with the trucker in mind and it comes with a 5inch high resolution touchscreen display, with the capability of entering and calculating routes based on height, length, and weight restrictions for all UK roads. 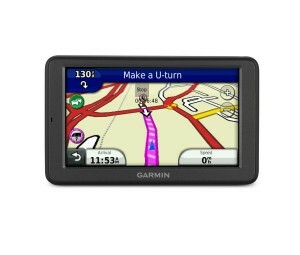 It can also be used in the passenger vehicle with detailed maps for the UK, Ireland and Europe. This sat nav unit features lifetime map updates, letting you download 4 map updates per year for the life of your satellite navigation unit. With the external video input for backup cameras in addition to a wealth of other features, this makes for an ideal sat nav for any truck, HGV or lorry driver out there. With the preloaded detailed maps, you are able to make customized truck routes by utilizing truck-related restrictions, such as bridge heights, and associated information for number of major motorways or roads. In order to achieve this, all you have to do is to simply enter your vehicle profile information which is customizable by weight, height, width, length, and hazardous materials and proceed to locate truck-preferred routes that are ideal for your rig and load. It is also possible to enter several stops for more competent course-plotting. The onboard Trip Planner enables you craft multiple-stop routes and plan and save future trips. It facilitates driving with confidence thanks to the turn by turn directions that are provided through the spoken street names. With this unit, you also get Lane Assist with Junction view for directing you to the correct lane for your upcoming turn, displayed truck speed limits when lower than normal automotive speeds, in addition to a grade data field showing upcoming ascents or descents. With the Dezl 560LMT, you are able to log and retain trip information. You are able to record log service hours, fuel usage, and drive status, with the sat nav tracking your info and automatically warning you of HDS violations. At the end of your trip, all you have to do is simply export all logs for improved reporting and tracking. To further make this an ideal sat nav unit, it does incorporate Lifetime traffic updates and embrace Bluetooth technology, and NuRoute technology with trafficTrends and myTrends predictive routing. It facilitates finding points of interest that matter to drivers: from lodging and fuel to truck stops and weigh stations. Services offered such as showers, Wi-Fi and scales are listed in the Truck stop information and the unit has undertaken an enhancement to exit services, which means that you will be informed of which services are available at imminent exits along your route. In case of unexpected happenings on the road, you can look to over 30,000 truck repair and service locations in the continental states and Canada, inclusive of those that offer after-hours road services that are known by the sat nav, all of which serve to make this an ideal unit to own.